Julia May is counsel with Moore & Van Allen’s Bankruptcy and Financial Restructuring team. 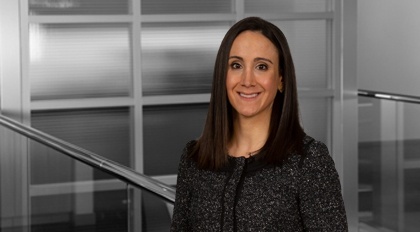 She has maintained a diverse restructuring and bankruptcy litigation practice, and has assisted in representing major stakeholders in some of the largest U.S. bankruptcies. Borders Group and its subsidiaries in their Chapter 11 cases in the Southern District of New York. The Federal Housing and Finance Agency as conservator for Freddie Mac and Fannie Mae in litigation before the Southern District Bankruptcy Court, Southern District of New York District Court and Second Circuit Court of Appeals. Asset purchaser in the sale of certain brands in the Delaware bankruptcy case of Heritage Home Group, LLC. Anderson News, the second largest wholesaler of books and magazines in the U.S. as chapter 11 debtor in the District of Delaware. The Official Committee of Unsecured Creditors in Diverse Label Printing in the Middle District of North Carolina. The Official Committee of Former Partners in the chapter 7 case of law firm Dewey LeBoeuf in connection with the estate’s $71.5 million settlement of litigation with the majority of its partners. The Official Committee of Unsecured Creditors in oil industry service provider Trico Marine Services Delaware bankruptcy case. Trade creditors in the Sears, Toys R Us, A&P, Remington, and Bon-Ton cases.